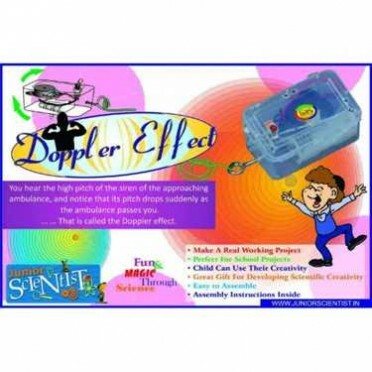 Do - it - yourself kit to learn Doppler Effect of Sound waves. The Doppler effect is observed whenever the source of waves is moving with respect to an observer. The Doppler effect can be described as the effect produced by a moving source of waves in which there is an apparent upward shift in frequency for observers towards whom the source is approaching and an apparent downward shift in frequency for observers from whom the source is receding. It is important to note that the effect does not result because of anactual change in the frequency of the source. The Zodiac, the 12 signs listed in a horoscope, is closely tied to how the Earth moves through the..